As you've probably heard, the Big East is looking to build out it's current collection of Football playing teams to greater than the 5 they currently have on board for 2012. That makes sense because just about every other Automatic Qualifying conference has five or more teams PER DIVISION. The current talks have tabbed the new potential targets as Navy, UCF, Houston, SMU, Air Force, BYU, and Boise St. These are all solid additions to the "Big East." I'm afraid it won't be called the "Big East" any longer but I don't think anyone but Basketball fans will really miss that. Besides, that ship sailed once Pitt and Syracuse decided to bail for the ACC last month. 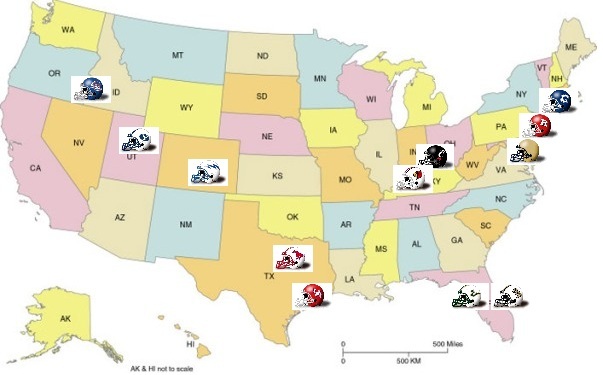 These 12 teams are all quality teams with lots of Football pride, many of whom seem to be on the verge of breaking into that next level of football elite too. Boise, Rutgers, Houston, both UCF and USF all have great talent and a recent history of competing at a very high level and a few bounces (or kicks in Boise's case) the other way and these teams are competing in BCS bowls. With an enhanced recruiting profile in Florida, Texas, and the West Coast some of the schools with great football history and a lot of pride could really up their game. This might end up working out for the best. To further that Nationwide profile and even appease some of those Basketball fans I thought about a few more schools that could be added across all sports and came up with Eastern Carolina, Southern Miss, UNLV, and San Diego State. All four schools have unique locations that further round out the "Big East" profile and have very competitive programs already in place. 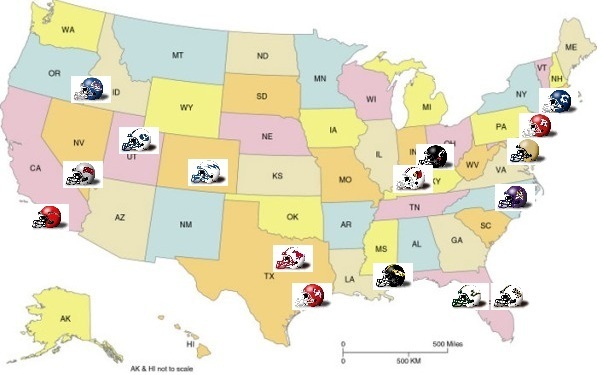 This would also expand the conference to a full 16 teams divided into East and West divisions separated by the Mississippi River (well USM is just slightly East of it but I think we can overlook that for our purposes). This has the makings of a conference that can compete for recruits in both Football and Basketball in every market and ultimately be competitive with anyone. Hopefully the same people that designed the demise of the current Big East realize the potential they have with my newly imagined "Big East." Because they are the same people in charge of engineering the future of the Conference they destroyed. My fingers are crossed.